DENVER (Legal Newsline) - Gov. John Hickenlooper has appointed a state appeals court judge to the Colorado Supreme Court. Hickenlooper made the announcement last week. 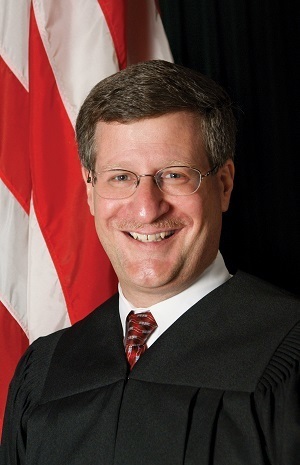 Judge Richard Lance Gabriel will replace Justice Gregory J. Hobbs Jr., who is retiring Sept. 1 after serving on the state’s high court since 1996. “Richard Gabriel has been unfailingly dedicated to the law, community and his family,” Hickenlooper said in a statement. “He brings a strong background in commercial litigation and business law, which has been underrepresented on the Court. Prior to becoming a judge in 2008, Gabriel was an associate and partner at Denver law firm Holme Roberts & Owen LLP -- now Bryan Cave LLP. In private practice, he specialized in general complex and commercial litigation, including business torts, intellectual property, products liability, probate litigation and appeals. He also was an associate at Shea & Gould in New York City, and served as a law clerk to Judge J. Frederick Motz of the U.S. District Court for the District of Maryland. Gabriel earned his undergraduate degree from Yale University and his law degree from the University of Pennsylvania School of Law. He also served as city prosecutor for Lafayette, Colo., for four years. “I believe deeply that our courts exist to ensure equal justice under the law,” Gabriel said last week following the governor’s announcement. “We also have a duty to ensure access to justice for all citizens, which is a significant issue facing many Colorado citizens today. According to his court bio, he is married to Jill Wichlens, an appellate attorney with the Federal Public Defender’s Office in Denver. They have two daughters. In Colorado, the Supreme Court Nominating Commission recommends candidates to serve as judges for the Supreme Court and the Court of Appeals. The chief justice of the Supreme Court chairs the commission and is a non-voting member. The commission includes one citizen admitted to practice law in Colorado and one citizen not admitted to practice law residing in each of the state’s seven congressional districts, and one additional citizen not admitted to practice law in the state. After receiving a list of nominees from the commission, the governor must make his or her selection within 15 days. If the governor does not appoint someone within those 15 days, then the chief justice appoints one of those individuals to fill the vacancy. The chosen judge serves an initial term of two years, then must stand for retention at the next general election. If retained by voters after serving an initial two-year term, state Supreme Court justices serve a term of 10 years. All Colorado state judges must retire by age 72.